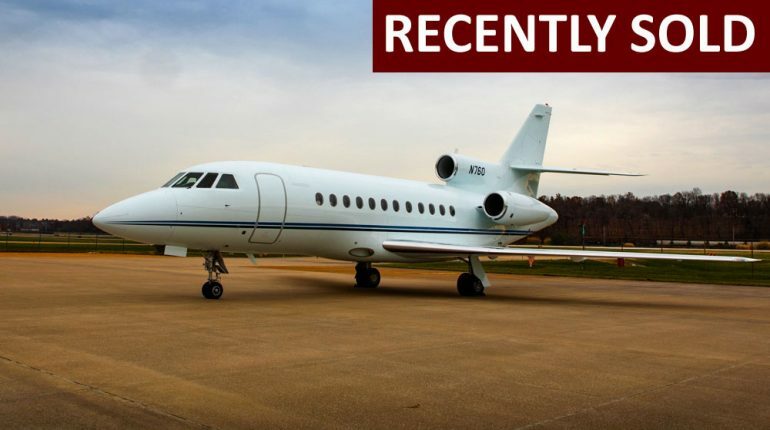 This outstanding aircraft is based in Chesterfield, MO and may be viewed by appointment. 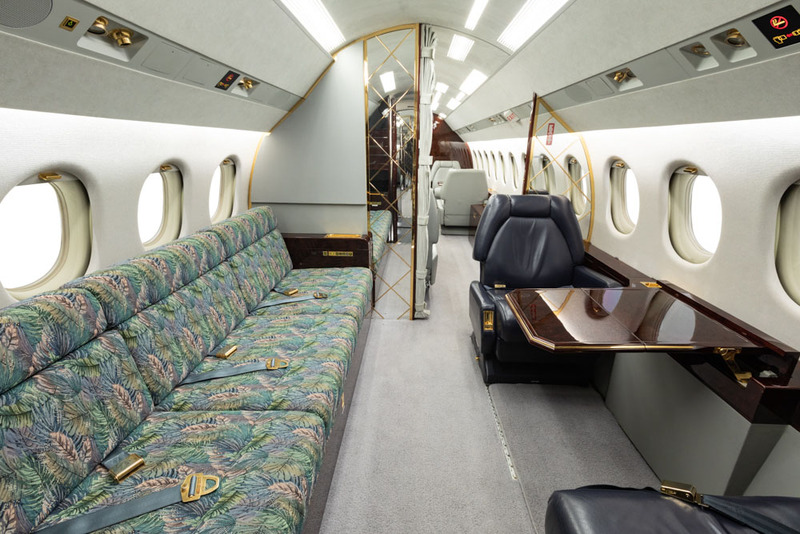 This interior accommodates up to twelve passengers in three seating areas and it is configured with a large forward galley, an aft lavatory, and an in-flight accessible baggage compartment. 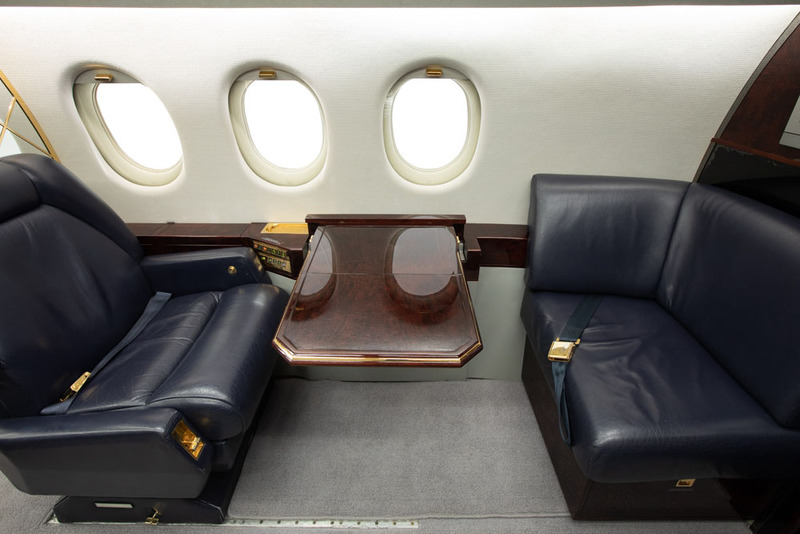 The cabin seating consists of a forward club, a mid-cabin left-hand four-place dining group opposite a credenza with a kibitzer seat, and aft left-hand three-place divan opposite an aft-facing single seat and a forward-facing foot rest. 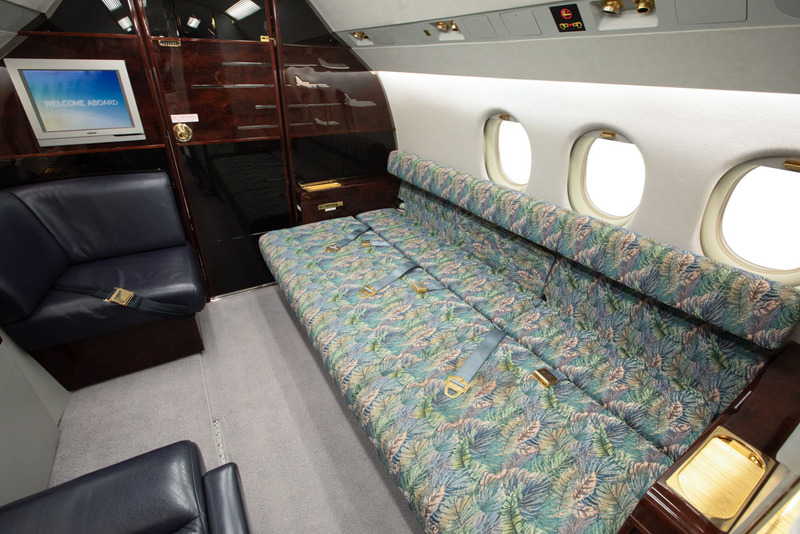 The interior was designed for maximum comfort on long flights. The forward club can be converted to two berths. 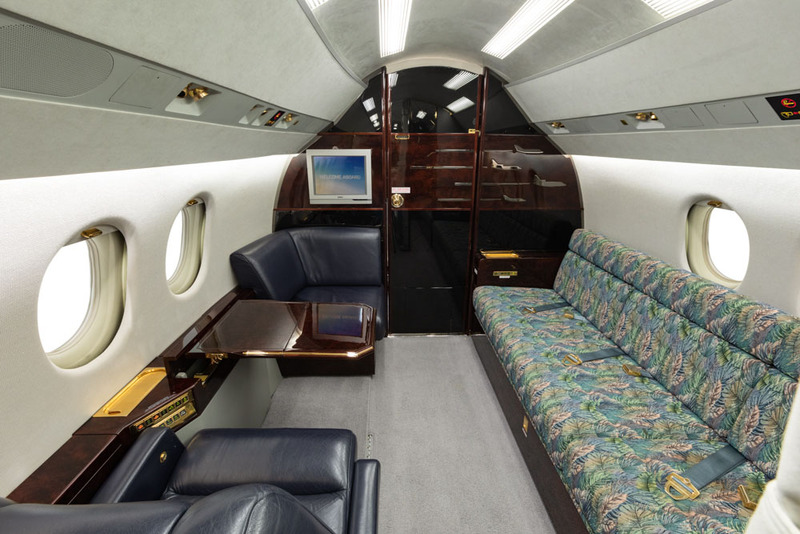 The mid-cabin club table can be expanded for dining or lowered for use as a berth. The aft divan converts to a berth and the additional foot rest in the aft cabin makes for a generous-sized berth on the right-hand side. 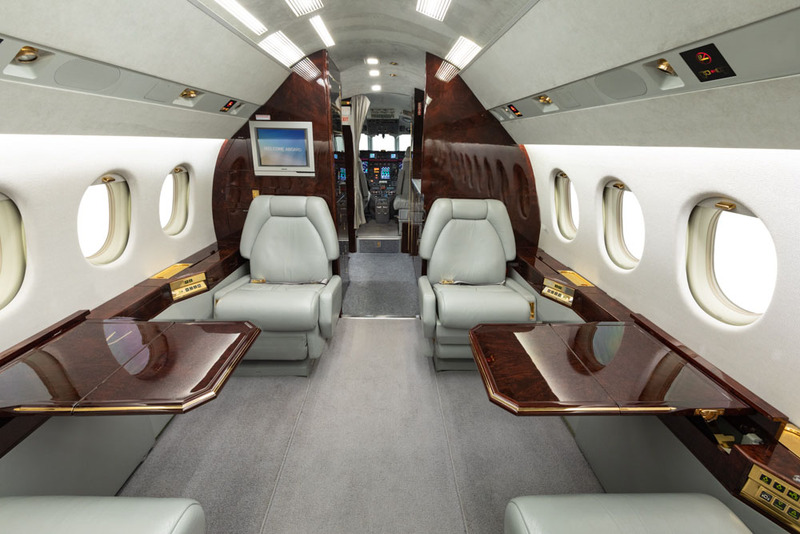 The aft cabin can be isolated from the rest of the cabin to increase privacy and comfort. 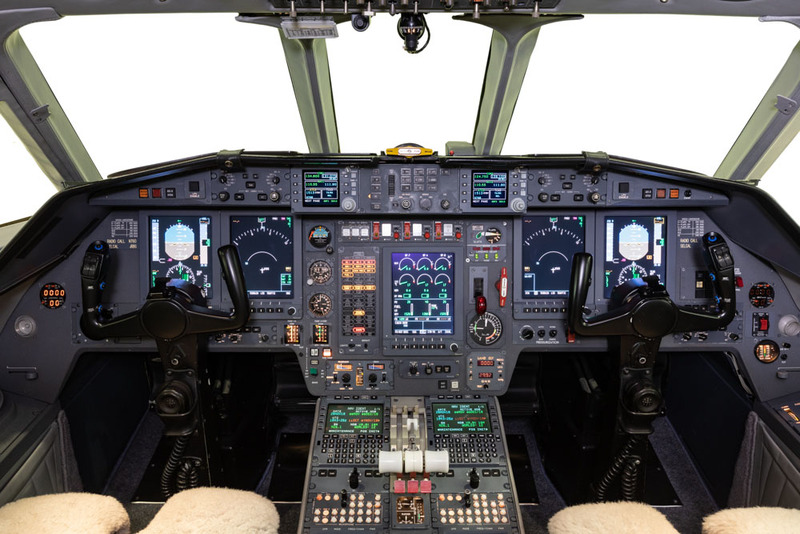 A Collins SAT-906 Inmarsat Satcom system offers satellite voice calling via cockpit and cabin handsets. 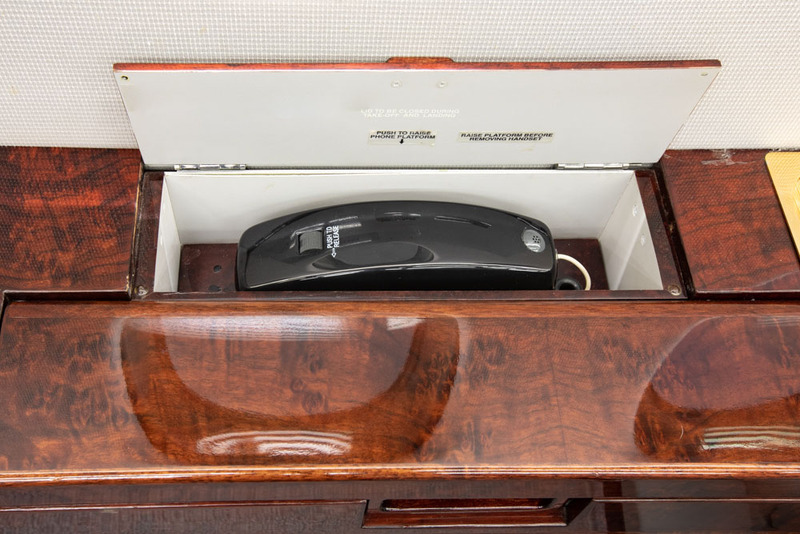 The interior woodwork is finished in dark brown gloss veneer, the main cabin exposed hardware is plated in polished gold, and grey carpeting is installed in the main cabin. 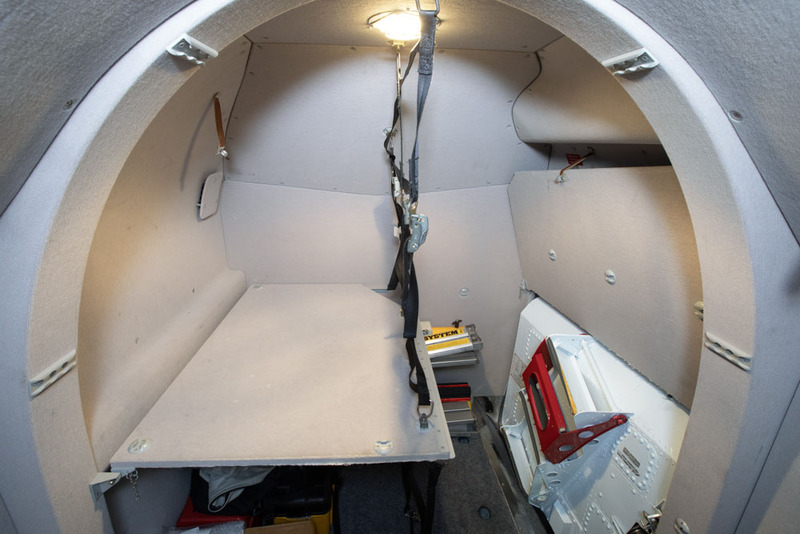 The main cabin headliner and PSU are finished in light grey suede fabric, the upper sidewall is covered in light grey fabric, and the lower sidewall is finished in light grey leather. 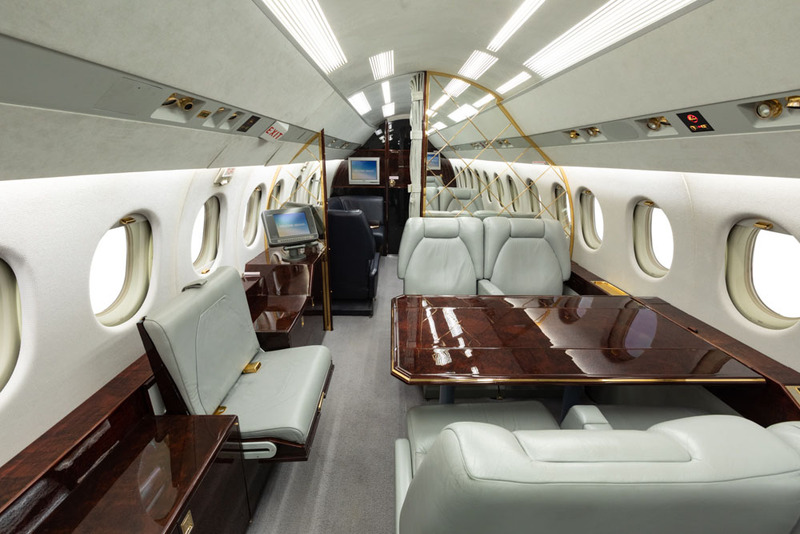 The forward and mid-cabin seats are covered in light grey leather, the aft cabin single seat and foot rest is finished in dark blue leather, and the divan is finished in a multi-colored patterned fabric. 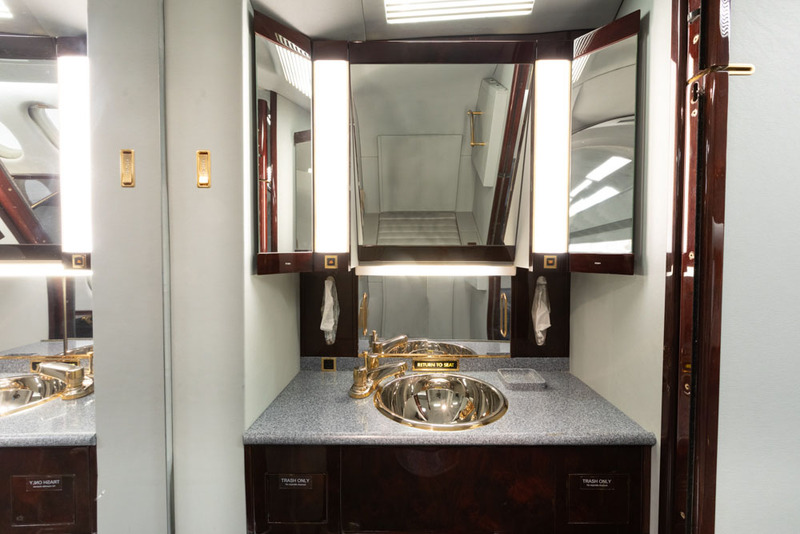 Grey-toned countertops are installed in the galley and lavatory. 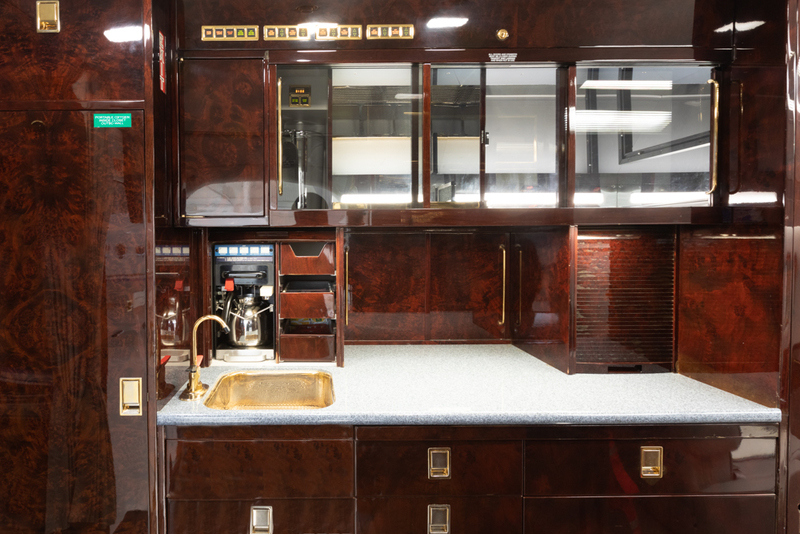 Galley equipment and features include a countertop, pop-out work surface, a sink with faucet, dual ice drawers, a coffee maker, and a hot cup. 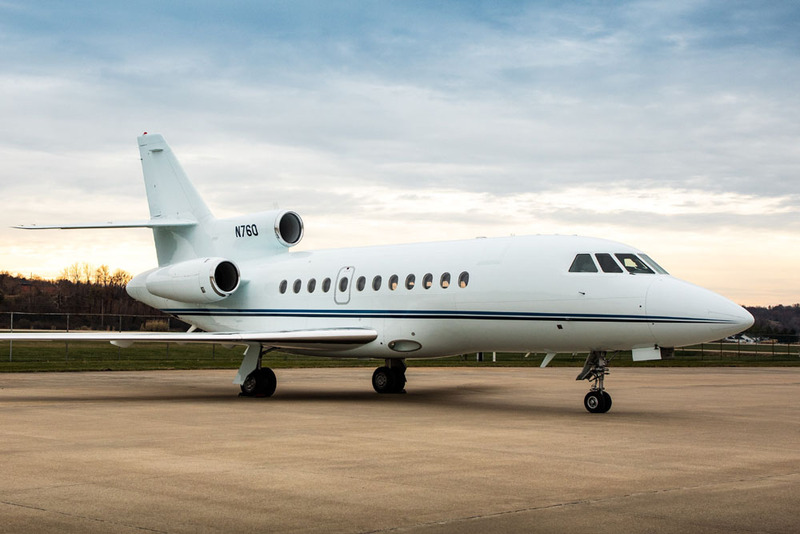 Opposite the galley is an annex providing additional storage, a convection microwave oven, and the main cabin audio/video componentry and controls. 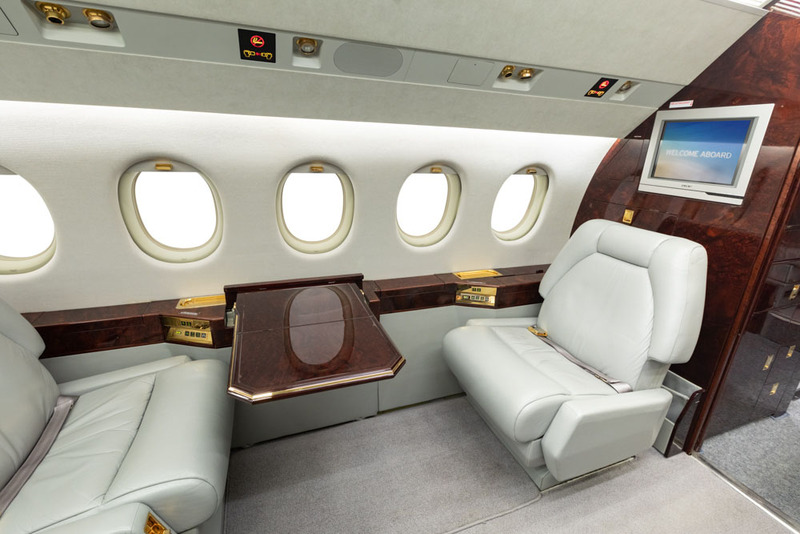 The lavatory is equipped with an externally-serviced toilet and a lighted vanity with sink and faucet. 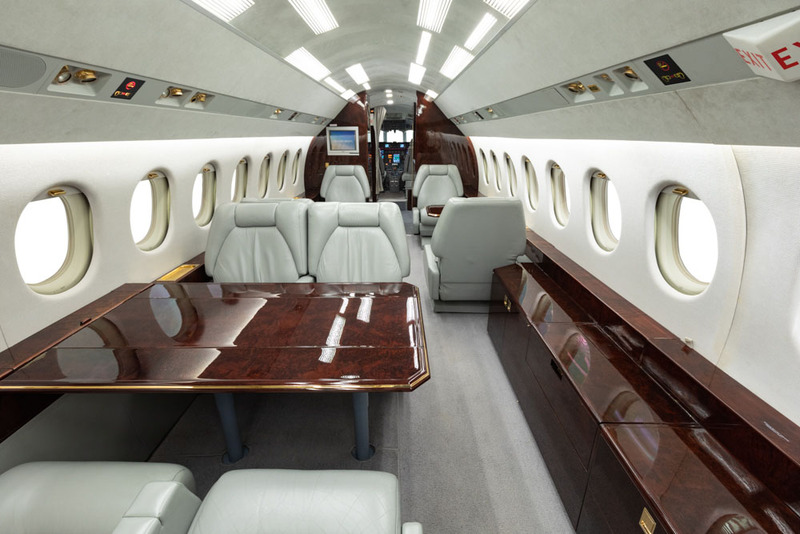 The in-flight accessible baggage compartment features hangar bars and folding shelves. 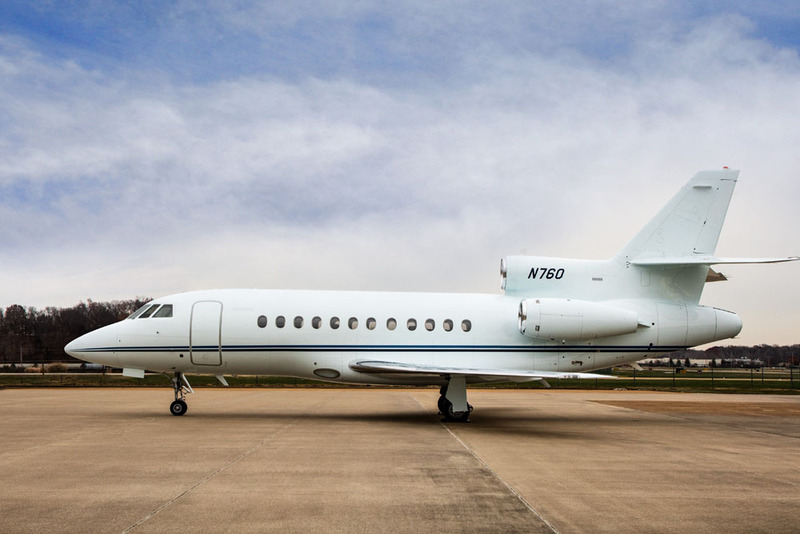 The exterior is painted in overall “Bluetone White” with “Marlin Blue” and “Royal Blue” stripes.